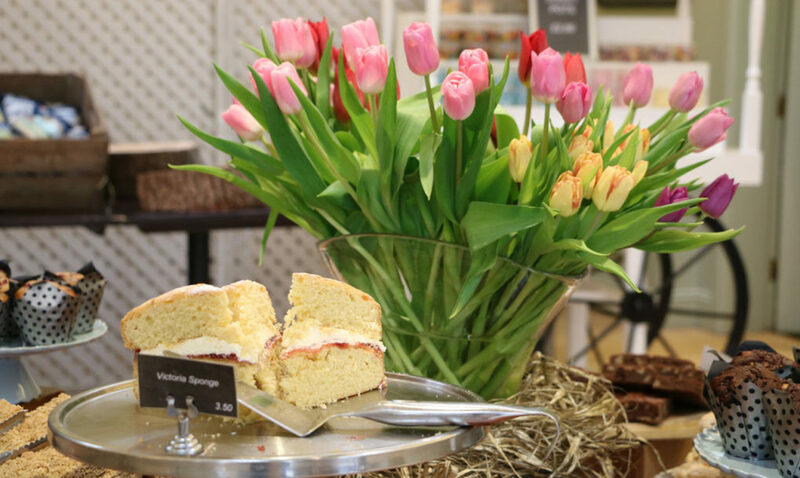 From freshly made cakes and ice cream to light bites and fine dining, there’s something for everyone, whatever your appetite. Make your visit unforgettable with Afternoon Tea served in the Anne Boleyn Wing overlooking the orchard with views of the Castle. For special events, please see the appropriate ‘What’s on‘ page. 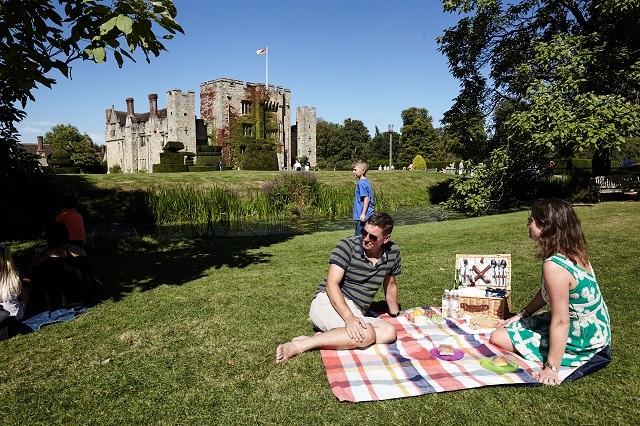 If you are planning a group visit to Hever Castle, discover the various group lunch offers here. Only one mile from the Castle’s main entrance is the Astor Bar & Restaurant in the Clubhouse of the Golf Club. *Some catering facilities are seasonal, please check at the Information Centre on arrival. Enjoy a delicious Afternoon Tea made in the Castle kitchen. Served in the Anne Boleyn Wing in a room flooded with natural daylight with views through leaded windows across the orchard to the Castle. Afternoon Teas are served on weekends only and must be pre-booked. Booking closes at 3pm on the Friday before the Afternoon Tea date and is only available on one weekend per month (excluding Sep/Nov/Dec). Sittings are at 1pm and 3pm. Children must be 12 years and over and visitors with accessible needs should contact the Estate Office before booking. Please read the Important Information before booking. If you want to make a group booking for 8 or more people, please contact Leith’s. Whether you are looking for a quick cup of coffee, afternoon tea, or a meal, the Moat Restaurant is a great place to eat and drink for all the family. With beautiful views of the Castle, here you can enjoy a variety of freshly made sandwiches and a large selection of freshly baked cakes available to eat in or take away, plus hot and cold dishes and children’s meals. Opening days in line with the Castle and Gardens; hot food served 12 noon – 3 pm. After 3 pm deli sandwiches are still available. Closes 30 minutes before the grounds close. View the menu for 2019. Opening times are subject to short notice change/closure – if unsure, please enquire on the day of your visit. 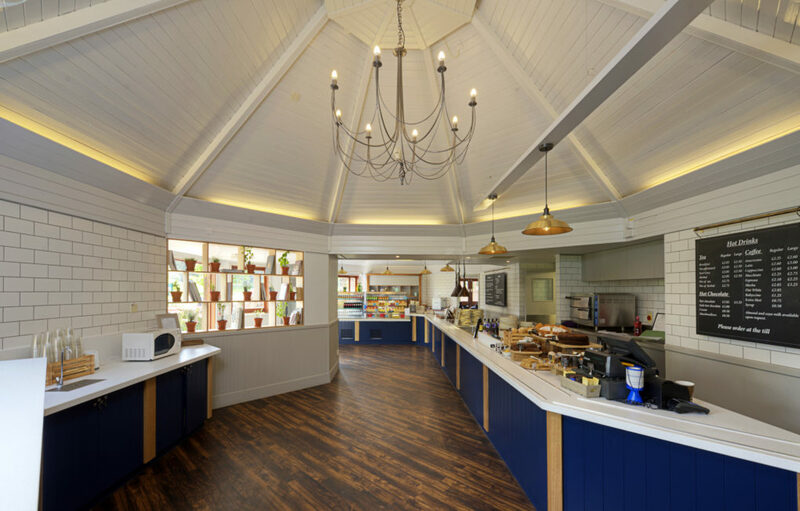 The Guthrie Pavilion Café offers a range of snacks including sandwiches, hot and cold drinks as well as fresh cakes made in our castle kitchen. The Café closes at least 30 minutes before the grounds close. The Guthrie Pavilion Restaurant offers a seasonal menu of hot and cold dishes. 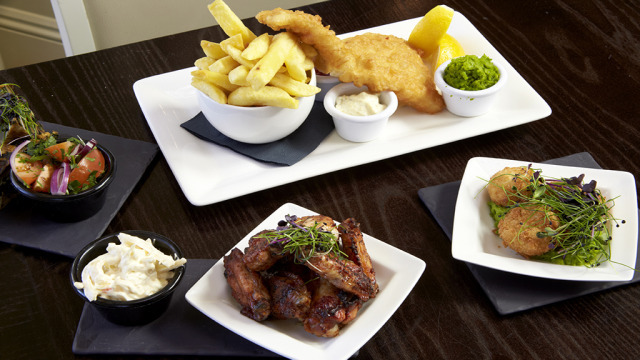 Hot food typically served 12 noon – 3pm (last orders 2:30pm). Over the Easter Weekend a sumptuous carvery is available – (Friday 19th April to Monday 22nd April 2019). View the menu here. If you are attending a performance at Hever Festival Theatre, enjoy a pre-theatre supper from 6pm in the Guthrie Pavilion Restaurant. 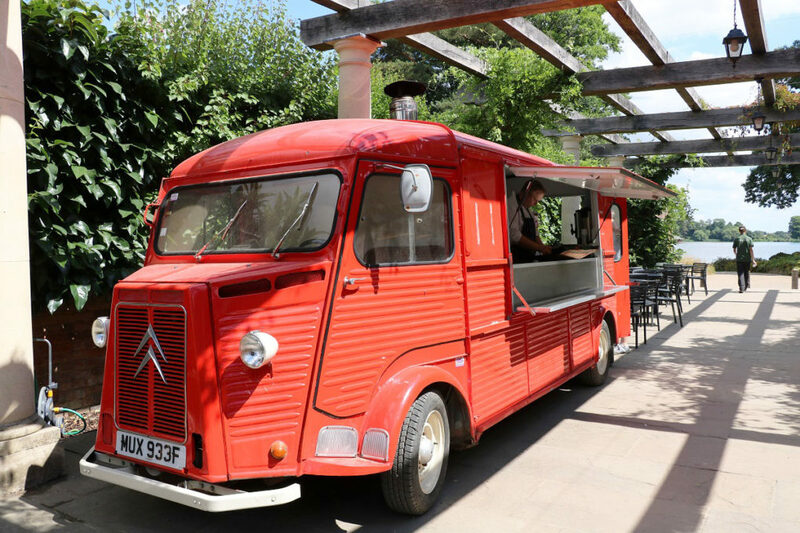 Hever’s Pizza Van offers freshly made wood fired pizzas. Scattered around the grounds in peak periods, you will find kiosks offering delicious ice cream just when you need them. 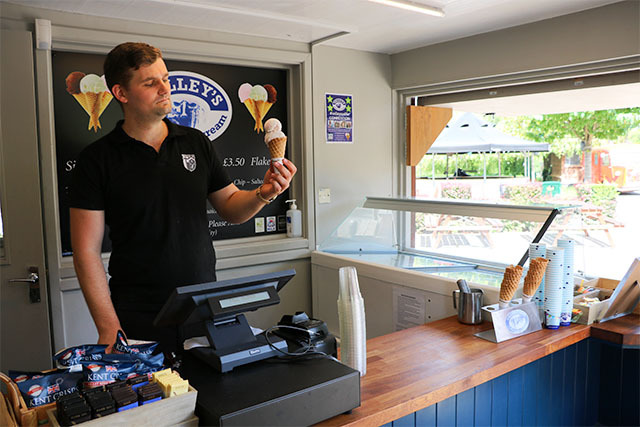 We sell a vast array of Solley’s Ice Cream which is made on a family farm in Deal, Kent. 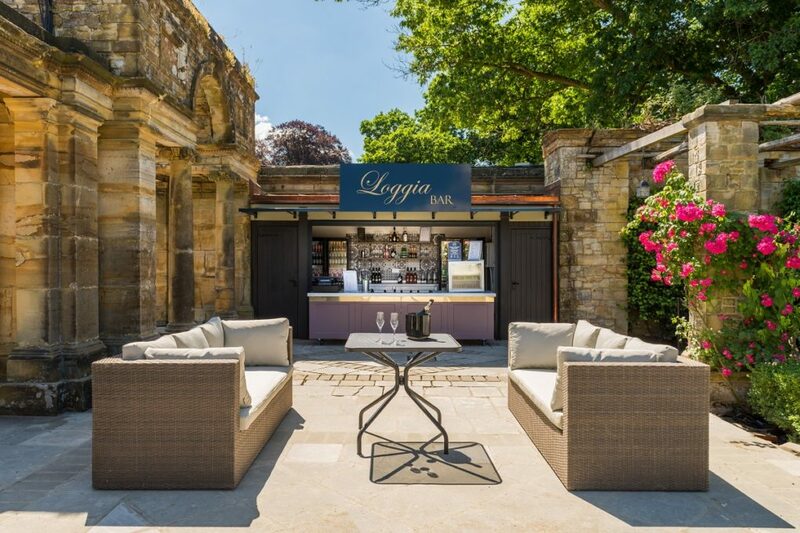 A new prosecco bar is now open on the Loggia terrace overlooking the Lake in the Italian Garden at Hever Castle. Visitors to the historic attraction will be able to enjoy a glass of something bubbly in the stunning lakeside location and the bar can also be hired out for corporate events and weddings. 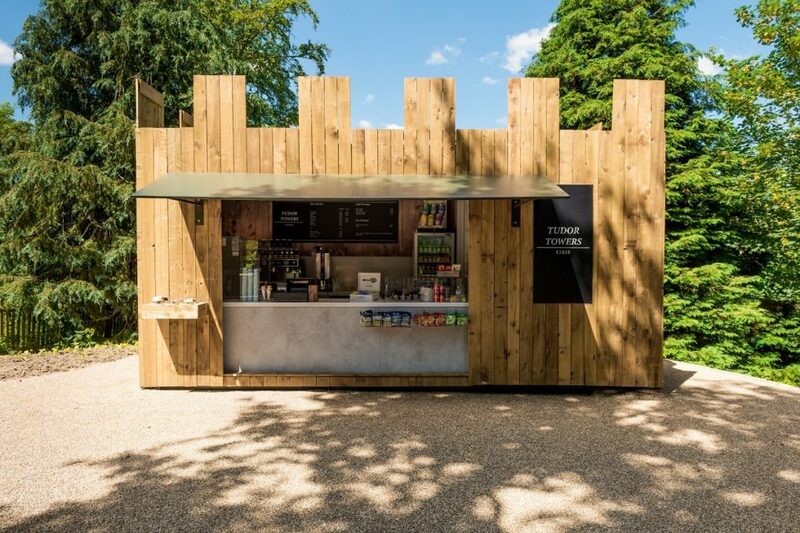 A former shipping container has been transformed into a crenellated kiosk for those visiting the Tudor Towers and Acorn Dell play areas. You can purchase food, hot and cold drinks and ice creams here. Bring your own picnic to enjoy at one of the many picnic areas in the grounds. Horse Shoe Lawn provides a perfect setting with sun and shade and a picturesque castle view. Half Moon Lawn is another popular choice with views over the pond. Venture further afield and you will discover Two Sisters Lawn adjacent to the Theatre which is surrounded by delightful flower beds, or follow signs for Lake Walk and choose a secluded spot. Picnic benches can be found outside the Hever Shop, plus there are a number of benches dotted around the estate. New furniture has also been placed by the Loggia, providing the most spectacular view whilst eating lunch! View Hever Castle’s opening times. At the Clubhouse, the Astor Bar & Restaurant offers a warm and welcoming atmosphere in which to enjoy drinks, lunch, a monthly Sunday carvery or even afternoon tea. All menu items are freshly cooked to order and where possible produce is sourced locally. For those chilly afternoons and evenings, a brick fireplace and traditional log burner provide a cosy setting for a hearty seasonal meal. During the warmer months, the beautiful terrace that overlooks the course is the ideal setting to enjoy a glass of prosecco or a G&T at sunset. Sunday Roast – enjoy a delicious Sunday roast at the Golf Club, pre-booking recommended by phoning 01732 701010. Be uplifted by 30,000 tulips!